Because the Church has never been a monolith. Never. Ever. Never from day one. Which, to be blunt, if the Museum of the Bible had let ANYONE with one good eye look at before they bought them, could have learned they were dicey at best. But no, instead the Museum bought them with what turns out to be taxpayer money, for three times the rate. 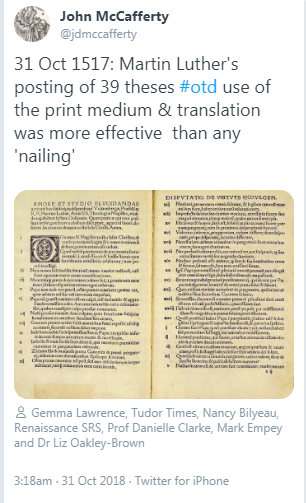 So, to all the scholars and publications (and you know who you are) who aided and abetted the MOTB in the fraud by stirring to a fevered pitch the Scroll craze for your own financial gain, shame on you. RELS 666: The Majestic Zwingli. 3 credits. Prof. J. West. A close look at the erudition, sanctity, wit and wisdom of Ulrich Zwingli (1484-1531), the last of the Reformers in alphabetical terms. Readings from the Commentary on True (Mine) and False (their) Religion, Scripture is Clear and Distinct as far as I’m Concerned, The True Meaning of “Is,” and other works. Requirements: translations from Latin and whatever that other language is, 2-hour exams each week, and response papers on the professor’s interminable sermons. Prerequisites: familiarity with Jerome and despair over salvation. RELS 1497 Melanchthon for Fun and Profit. 3 credits. Instructor: Keen. The surest sign of the collapse of civilization is the current obscurity of Philip Melanchthon (1497-1560), the most erudite and lucid theologian since the death of Augustine. In this course we will read all three editions of the Loci Communes (comparing the Latin and German versions of each) and astrological works that are useful for discerning auspicious times. Requirements: delivering an oration on the importance of reading Homer in a time of crisis and composing Greek epigrams on the problems of the day. For classics majors only; the rest of you are barbarians. Martin Luther from Heinz Cadera on Vimeo. In den Wirren der Zürcher Reformation verlieben sich Ursula und der Bauernsohn und Söldner Hansli. Ursula hat sich den Täufern angeschlossen – dem «linken» Flügel der Reformation. Diese fordern unter anderem Glaubensfreiheit und die Trennung von Kirche und Staat. Das Sakrament der Ehe lehnen sie ab. Hansli hingegen begeistert sich für die Lehren Huldrych Zwinglis. Erst auf dem Schlachtfeld von Kappel finden die beiden ihr gemeinsames Glück. Die Verfilmung von Gottfried Kellers Novelle – am Bettagssonntag 1978 ausgestrahlt – wurde wegen ihren zum Teil drastischen Bildern, aber auch wegen ihrer kontroversen Darstellung von Zwingli und den Täufern zum Fernsehskandal. ‘The Reformation’ is, then, little more than a label derived from historical hindsight gazing mono-focularly at a series of events over a period of time across a wide geographical landscape. Each Reformer had roots sunk in fertile ground and their work was simply the coming to fruition of generations of shift in the Roman Catholic Church. Hence, it would be more appropriate to speak of ‘Reformations’ in the same way that we now speak of ‘Judaisms’ and ‘Christianities’. The Reformation was no monolith. Who, then were the Reformers who gave birth to the Reformations most closely associated with them? They were Huldrych Zwingli, Martin Luther, and John Calvin, in just that order. 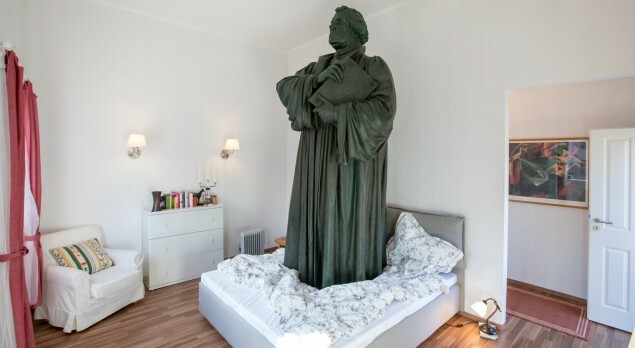 In 1515 while he was Pastor of the village Church in Glarus, Huldrych Zwingli began to call into question the dependence of the Church on the teachings of the Scholastics. He also questioned the value of the Vulgate for preaching and began earnest study of the Greek New Testament. There, memorizing the letters of Paul (in Greek) he discovered the Gospel which would come to feature so prominently in his Reforming efforts: Salvation is by grace, through faith, and not through works as proclaimed by the Scholastic theologians. By 1519, when he moved to Zurich to become the Pastor of the Great Minster, Zwingli was already well on his way to Reforming the worship of the Church and the administration of the ‘Sacraments’. In short order, within a few years, the Mass was abandoned and replaced by the ‘Lord’s Supper’ and the fixation of the Church on images was denounced and those images removed in due course. Zwingli’s Reformation was carried out with the cooperation of the City government, which is why Zwingli, along with Luther and Calvin, were to be known to history as ‘Magisterial Reformers’. Not because they were ‘Magisterial’ but because each had the support of their city’s magistrates. North of Zurich, in Wittenberg, Luther’s Reformatory efforts were coming to full steam around the same time. 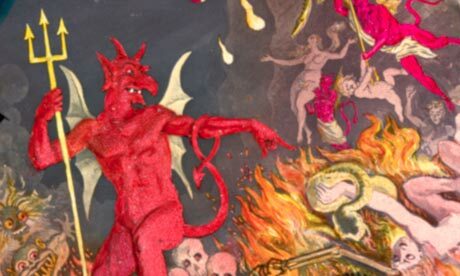 In 1520 he broke with Rome irrevocably with the publication of his stunning ‘On The Babylonian Captivity of the Church’. From there, there was to be no turning back. And here we must remind ourselves that at this juncture Luther was not dependent on the work of Zwingli, nor was Zwingli dependent on the work of Luther. Both were pursuing reform along parallel tracks, separately. Further to the West of Switzerland a decade later John Calvin, an exile from France, a lawyer by training and a theologian by training and desire, began his own efforts at Reform. 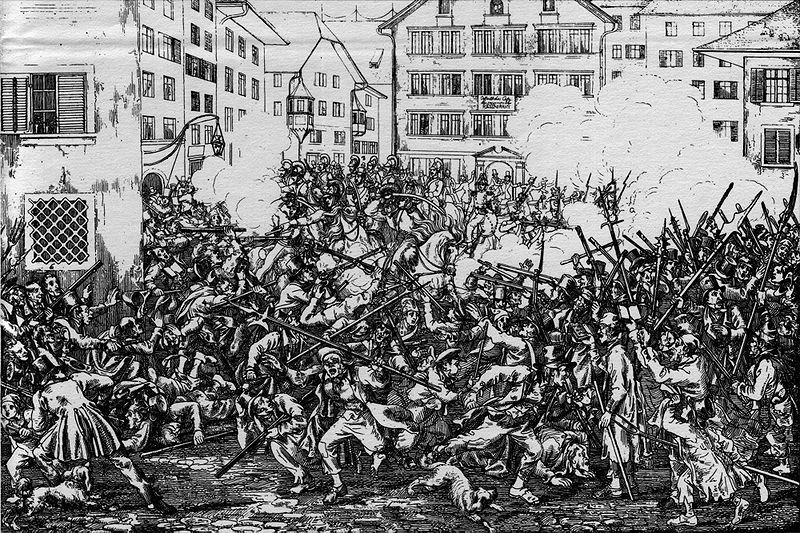 Several years after Zwingli’s death and long after Luther’s demise Calvin plodded away in Geneva attempting manfully to bring that raucous city to heel under the power of the Gospel. Each of these Reformers were ‘Fathers’ of their own Reformation. Each was, originally, independent of the other and in many ways they tried very hard to retain that independence even when their common foe, the Church of Rome, was the target as their common enemy. Each contributed to ‘The Reformation’ in their own unique way. If, then, we wish to honor their memory and their efforts, it behooves us to set aside our preconceptions or our beliefs that ‘The Reformation’ began on October 31, 1517. It didn’t. It began in 1515 in Glarus. And it began in 1517 in Wittenberg. And it began in Geneva in 1536. The earliest usage of the term ‘evangelische’ was used by Luther’s opponents the Roman Catholics to denounce his rather un-Catholic understanding of salvation (justification). These ‘Evangelicals’ preached a Gospel centered on the death and resurrection of Christ by which they asserted that a relationship with God was made possible. As time progressed the word ‘Evangelical’ came to be used of Christians who were very much like their earlier cousins the Fundamentalists, but with a glossier exterior and flashier church services. These ‘Evangelicals’ were theologically conservative and accepted various teachings of fundamentalism; without being tied to the culture of fundamentalism. Now, however, the term has come to mean a person who pretends to be a Christian who nonetheless is more concerned with the acquisition of political power; a person willing to abandon core theological principles in order to align himself or herself with fascism and a fascist head of State. 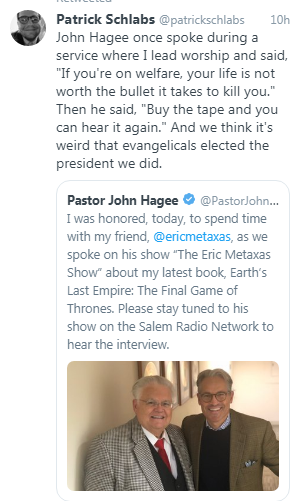 In sum, whereas Evangelicals were originally Christians striving to be faithful to the principles of the Reformation, today Evangelicals are pretend Christians. Is one of you with a complaint against another so brazen as to seek judgement from sinners and not from God’s holy people? Do you not realise that the holy people of God are to be the judges of the world? And if the world is to be judged by you, are you not competent for petty cases? Do you not realise that we shall be the judges of angels? – then quite certainly over matters of this life. But when you have matters of this life to be judged, you bring them before those who are of no account in the Church! Einen Monat vor der Abstimmung über die „Selbstbestimmungsinitiative“ und die „Überwachung von Versicherten“ und während der Kampagne „Kirche für KOVI“, positionieren sich viele Kirchenvertreter*innen, kirchliche Organisationen und Kirchgemeinden für die Menschenrechte, für die Privatssphäre von Versicherten und für die Wahrnehmung der Verantwortung schweizerischer Konzerne. Damit erregen sie oft den Unmut Andersdenkender. Dieser Unmut bezieht sich aber weniger auf die vertretene Position, sondern viel mehr darauf, dass eine Religionsgemeinschaft oder deren Vertreter*innen sich überhaupt politisch einbringen. Dahinter steckt ein Missverständnis, das den säkularen Rechtsstaat im Verhältnis zu den Religionsgemeinschaften betrifft und die Religionen auf den Bereich des Privaten begrenzen will. There is something seriously wrong with people in this country, and it is a sickness unto death. We are all tribal. We invariably care more about the people in America than somewhere else. We all care more about the murder of 11 neighbors than we do the murder of a million Yemenis. Hop over here and read Zwingli. And here you can read Calvin. And over here, Luther. It’s well and good to read about the Reformers in secondary sources. But there’s nothing like reading the Reformers themselves, in their own words. Nothing.